See a summary on how your LinkedIn products are performing, or if you’re fully utilizing them, with just a few clicks. Dive into key metrics, like InMail response rates or Job Slot utilization, and use tips and insights to improve your strategy. 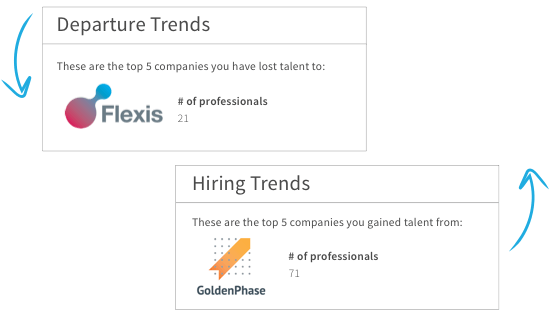 Know how many of your hires are influenced by LinkedIn and where you’re gaining talent from – or losing employees to. Coach your team on their performance and give them direct access to the report, so they can also learn key insights. * If you don’t see this report, ask your Recruiter administrator for access.